The Book Sale is coming May 4th! 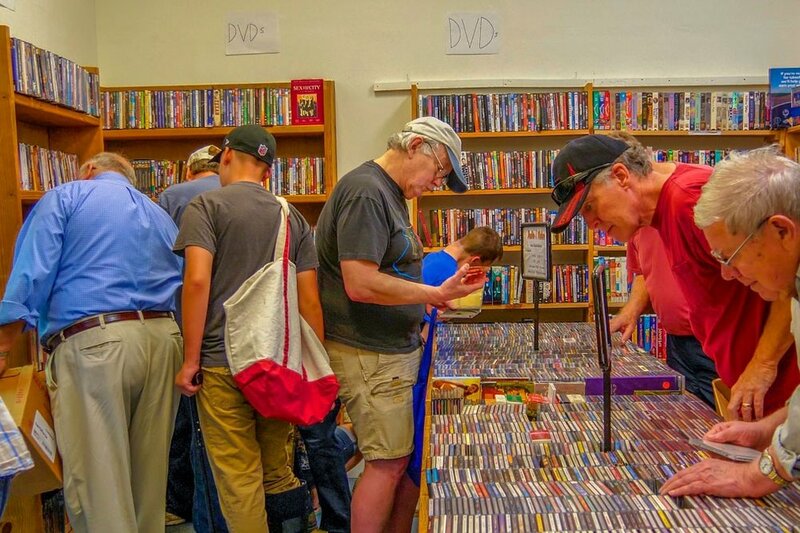 Through membership dues, used book sales, and fundraising initiatives, Friends of the Library is able to purchase materials and sponsor programs that could not otherwise be funded by the Henderson Country Public Library. With your help, our goal is to to ensure that the Henderson County Public Library system remains among the top mid-size county libraries in North Carolina. Friends of the Library supports all six Henderson County library locations by delivering a wide range of valuable programs and services that enrich and transform the lives of citizens of all ages. Each year, we sponsor free musical, historical, and cultural programs for people who enjoy learning something new! Events are held throughout the country at all branches of the library system. Friends of the Library raises approximately $100,000 each year through our semiannual book sales. Net sale proceeds are used to purchase books, media, furnishings, and equipment needed by our library system. Get Involved With Friends of the Library! Become a Friend of the Library and help us build a strong library system that promotes a love of reading, provides essential information for individuals and businesses, and educates and broadens horizons. Volunteers are the backbone of our organization. Help us make an important difference in the lives of our friends and neighbors in Henderson County. It's a fun way to give back to your community! We welcome donations of books and financial support. Your financial gifts will allow the library to enrich its services, resources and facilities beyond what would normally be available through local funding. Learn more about Friends of the Library in this video produced by volunteer Richard Labunski.